Coming in a large, plastic container with a pour spout and secure cap, this liquid soap is both convenient and effective. To use, simply add 2 oz. of dish soap to your dishwashing sink and fill it with water. In the case of greasy pots and pans, add a tablespoon of formula to each pan, fill it with hot water, and let it soak while you wash other dishes. 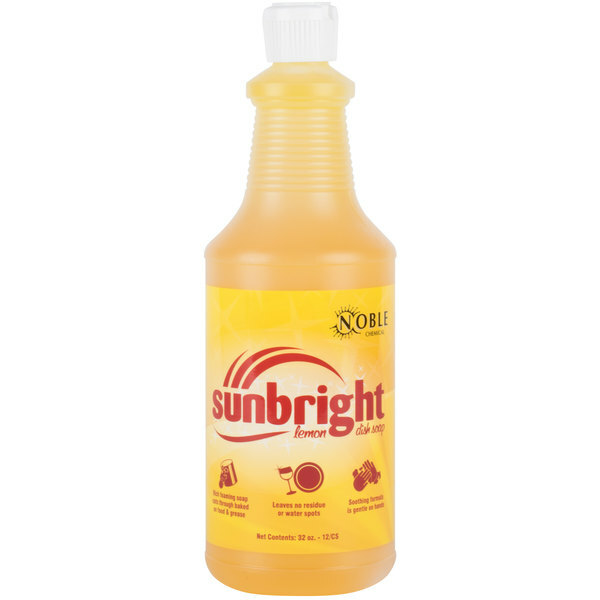 Keep your cookware and dinnerware items spotless by using this liquid dish soap in your restaurant or catering kitchen.